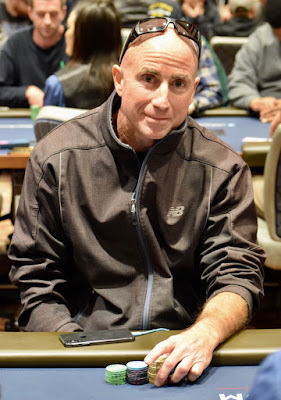 Today's edition of #WhoLovesItMore highlights Patrick @Jackhammr318 Testoni who took advantage of multiple tourneys in the region to get in a lot of play, a nice cash and more than a few miles on his car's odometer. Testoni was here for the opening $100,000 Guarantee Catapult. Next, he drove over Donner Summit to the Peppermill in Reno to bag a stack Friday in the first flight of the RunItUpReno Main Event. Yesterday he was back here for yesterday's OneDay$100k. Today he played in Day 2 of the RunItUp main and cashed in 50th, having his Queens cracked. Now he's back over the summit yet again and seats for tonight's $160 with $50 bounties.